This entry was posted in Wear of the Week and tagged AG jeans, boots, fall fashion, fashion, FASHION BLOG, natalie's style nook, ootd, Outfit of the Day, style blogger, UGG boots, white denim for fall. Bookmark the permalink. I can’t wait to bring out the tall boots! Gimme, gimme! 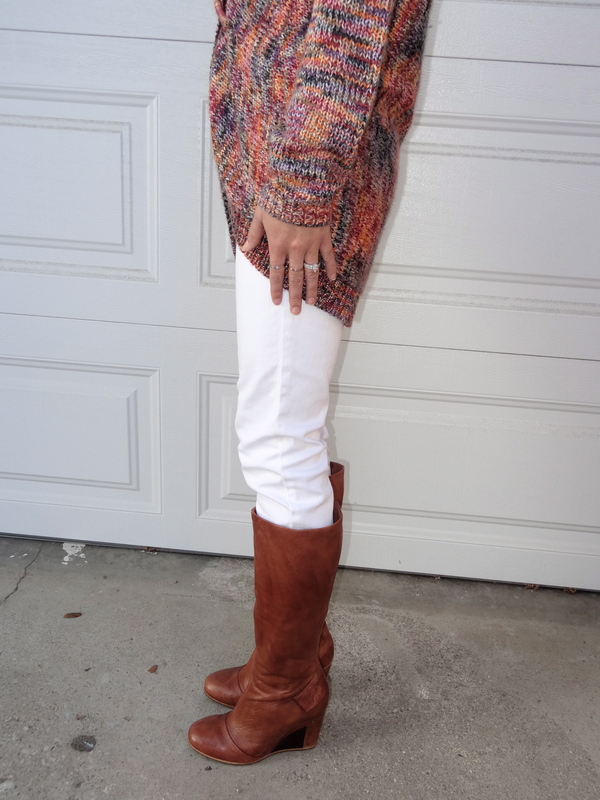 Love this sweater, especially paired with the white + boots. Awesome look, doll!